In Central and Southern California, we live in a chaparral environment. This means that the majority of the year is hot and dry with rain really only occurring during the winter. As a result, fires are pretty common. Over the years, our local plant species have developed some pretty unique adaptations to deal with this fiery environment. Although wildfires are often described as "natural disasters", they are actually an important component of chaparral environments. Fires help maintain a healthy balance within a forest and at times, even allow them to have a fresh start. After a while, the forest floor can become pretty cramped – fallen trees, branches, and leaves take up space and block sunlight, preventing younger plants from getting their start. A forest fire can help the younger generation out by clearing parts of the forest floor and opening up space and resources. In order to take advantage of this open space, many plants have developed pretty cool adaptations that allow them to live in areas frequented by fire. Monterey pine trees are a great example of how life can adapt to fire. In most species of pines, pine cones mature annually and only really open and drop their seeds in the fall. 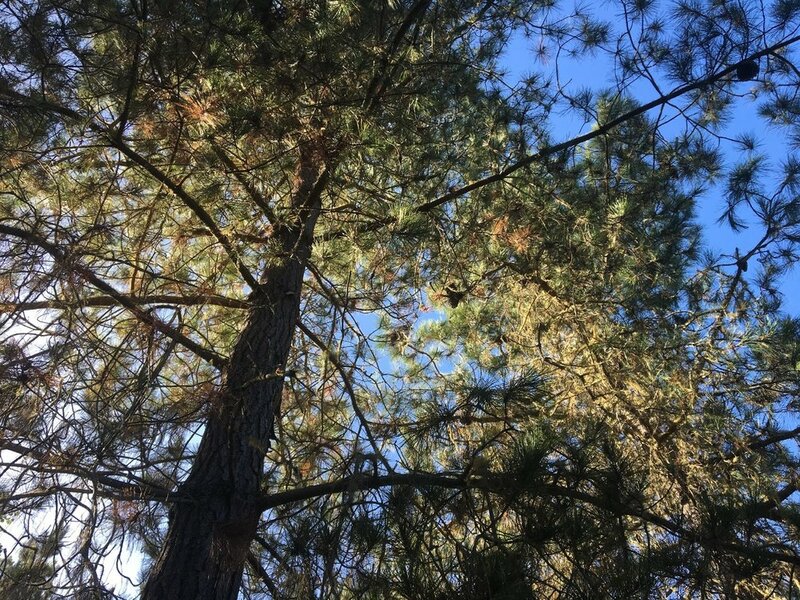 However, our local Monterey pines produce a seratonous closed-cone – this means a cone that remains closed until exposed to a specific environmental trigger. In the case of the Monterey pine, their cue is fire. So how does fire trigger their cones to open? Lets break down the science behind it! 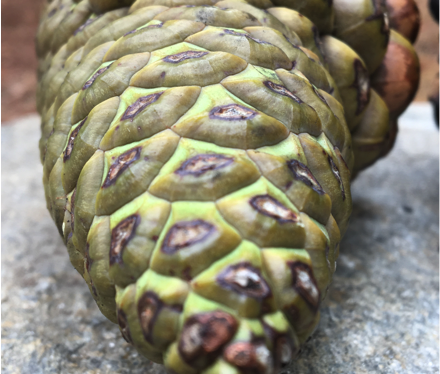 Monterey pine cones are covered in resin, a protective sticky substance that keeps the pine cones closed. This resin is not soluble in water and will only melt when exposed to extreme heat. When a fire comes through and melts the resin, the cones pop open and the seeds are able to fall out and disperse around the forest. Below you can see the before and after effect fire has on Monterey pine cones!